We bring about 100 filmmakers and related guests into town for the festival? The Ashland Independent Film Festival helps about 100 filmmakers, jurors, industry supporters and special guests travel to Ashland each year with complimentary housing, travel stipends and free meals and snacks. We believe that one of the reasons that AIFF has been selected by industry experts as a top film festival destination is because of our down-home hospitality. We love showing filmmakers the wonders of Ashland and the Rogue Valley. Our audiences are part of this love triangle â€“ they consistently tell us that interacting with filmmakers at Q&As, during free panel discussions, at AfterLounge or at a local coffee shop is one of the best things about the Ashland Independent Film Festival. But getting all of these film folk here, and making sure they all have a place to lay their head at night is a massive undertaking â€“ a special mix of staff commitment, volunteer gusto and local business support is required. Very generous local hotels and bed & breakfasts, and private families open their accommodations to our filmmakers. Our crack transportation team, headed by Karen Touloui and Karen Giese, is another example of how the generosity of businesses and individuals comes together to make magic happen for the festival. Each spring, Butler Ford loans three shuttle vans to AIFF, and volunteers act as drivers, while our staff and volunteer managers handle coordination and make sure that a driver and wheels are on call, night and day. Then local restaurants and purveyors join the team to donate many of the meals, snacks and beverages that our guests require â€“ and relish! Last year, there were 19 volunteers on our transportation team, including the two managers. They report that the busiest, most intense time for them is at the end of the festival when everyone leaves, pretty much all at the same time, and very early on Monday morning. Without ALL of this help, not nearly as many filmmakers could afford to attend the festival. They make the trek because they love AIFF, they can network and interact with audiences, and hope that their film will hit it big. Likewise, AIFF filmgoers benefit from their zest, insight, provocative stories, and dedication to the art of independent film. If youâ€™d like to volunteer for the transportation team, click here. Are you looking for a place to stay in Ashland? Hereâ€™s a list of businesses that have generously donated rooms to our film industry visitors. Have you ever wondered what the â€œTCâ€ in TC Chevy stands for? It stands for â€œtotal commitmentâ€ â€“ that is, total commitment to service, satisfaction, and to community. Located at 2045 Highway 99 in Ashland, TC Chevy has been selling new Chevyâ€™s and just about all types of pre-owned autos for more than 25 years. What even long-time area residents may not know, however, is that TC Chevy also has a full detail service for meticulous cleaning and restoration of autos, and a full-service tire and wheel shop. In the quarter century that the dealership has been around, the owners have also had a deep commitment to the community. Today, the dealership supports a long list of good causes, including the Mt. Ashland ski area, local schools, the Ashland YMCA, Hearts and Vines Foundation, Community Works, the Southern Oregon Historical Society, and of course, the Ashland Independent Film Festival. Derekâ€™s father, Alan DeBoer, the founder of TC Chevy, was Ashlandâ€™s mayor from 2001 to 2005. Alan DeBoer also supports the film festival through another of his family businesses - the Historic Ashland Armory. Alan owns the Armory, which is a key venue for films during the upcoming film festival (April 7-11, 2016). The focus must be working. TC Chevy has won the prestigious General Motorsâ€™ Mark of Excellence Award several times for being a symbol of extraordinary sales and customer satisfaction. Thanks for making the Ashland Independent Film Festival a part of the big TC Chevy â€œtotal commitmentâ€ community! The Ashland Independent Film Festival has announced that the winner of its first Tangerine Entertainment Juice Award â€“ an initiative to recognize and reward emerging female directors â€“ will be presented this year to New York director/choreographer/writer Celia Rowlson-Hall. AIFF is one of a select number of film festivals to present the prestigious Juice Award, which includes a gift of $1,000 cash and four hours of consulting from the film distribution company Tangerine Entertainment. The award has been doubled by a generous matching gift of $1,000 from the Faerie Godmother Fund of the Oregon Community Foundation. The Juice Award is given to a female director for her first or second narrative feature. Rowlson-Hallâ€™s first full-length narrative, MA, will be screened during the festival. View trailer here. â€œCelia brings to cinema the same playful adventurousness that has made her a rising star in the dance world,â€ said Richard Herskowitz, AIFF Director of Programming. â€œWe are extremely pleased to present our first Juice Award to this joyful and energetic new talent. Festival audiences will have a chance to see her work when we screen her first feature-length film, MA, in which she retells the story of Mother Maryâ€™s pilgrimage, setting it in the American Southwest and emphasizing movement over dialogue.â€ HammerToNail.com described the film as "astonishing â€¦ easily one of the most brazen and beautiful independent films I've seen in years." Rowlson-Hall, 31, began her career as a dancer and choreographer for theater, but quickly embraced film when she was asked to help create the music video, Electric Feel, for American rock band MGMT. Last year she was named one of Filmmaker Magazineâ€™s â€œ25 New Faces of Independent Filmâ€. 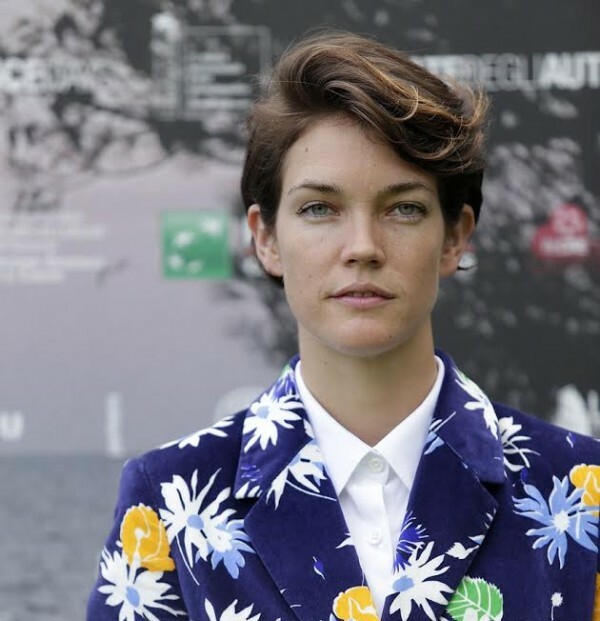 She has appeared on the cover of Dance Magazine, and has produced numerous pieces of choreography for commercial ventures, including a Lena Dunham/Hamish Bowles video Cover Girl, that played on vogue.com to accompany Dunhamâ€™s February 2014 Vogue cover. She also choreographs for HBOâ€™s Girls. Visit her website at celiarowlsonhall.com. Even though the Ashland Independent Film Festival is a non-profit organization, we still have to file tax reports to the state and federal government. Fortunately, we can turn to our long-time supporters, Nagel & Padilla for expert assistance. The company is one of the leading certified public accounting and business advisory firms in Southern Oregon, and their staff has helped Rogue Valley residents achieve their business, financial and personal goals since 1987. Nagel & Padilla generously supports many local nonprofit organizations, including the Rogue Valley Symphony, The Siskiyou Music Projectâ€‹, The Ashland Rotary and the Southern Oregon Humane Society. As a business focused on excellent service and support of the arts, itâ€™s no surprise that Nagel & Padilla was named Ashlandâ€™s 2015 Favorite Accountants in Sneak Previewâ€™s "Best of Ashland" edition. Thank you to everyone at Nagel & Padilla, we are proud to partner with such an upstanding business. 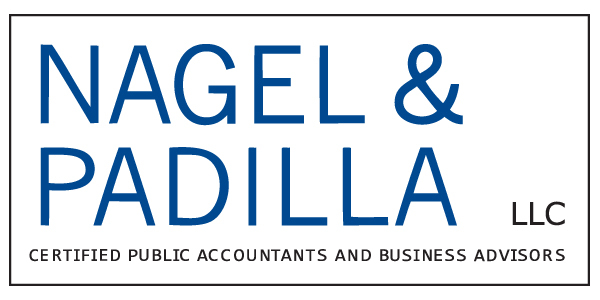 Nagel & Padilla publishes a complimentary monthly newsletter featuring helpful tax and financial planning tips. Their website also offers a wide variety of resource guides on topics such as how to maximize the charitable deduction. You can subscribe to Nagel & Padilla's newsletter and visit their website nagelpadilla.com, or you can follow Nagel & Padilla on Twitter (@NagelPadillaLLC) or like them on Facebook (Nagel & Padilla, LLC). 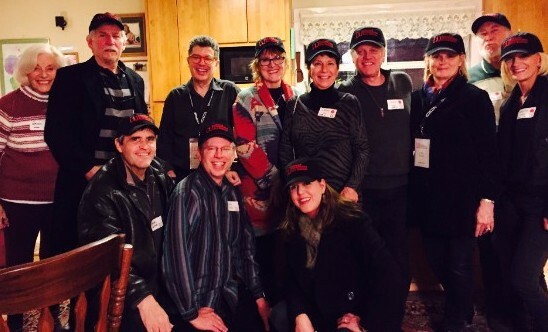 The Ashland Independent Film Festival Emeritus Board recently enjoyed an evening catching up with each other at the Granite Street home of gracious hosts Ron and Noreen Hulteen. Many tales were told of the early days when the festival was just getting started and festival founder, Steve Wood, even made the trek down from Portland. AIFF Executive Director, Cathy Dombi, briefed the guests on the upcoming festival and introduced the new director of programming, Richard Herskowitz. The board proved â€“ once again â€“ that the festival is still near and dear to them when they raised an unprecedented $5,000 in support of this yearâ€™s Festival special guest. Marin Faye Catering served delicious hors dâ€™oeuvres, and wine was poured by Gill Anderson of Platt Anderson Cellars. Letâ€™s not wait so long before the next get together! 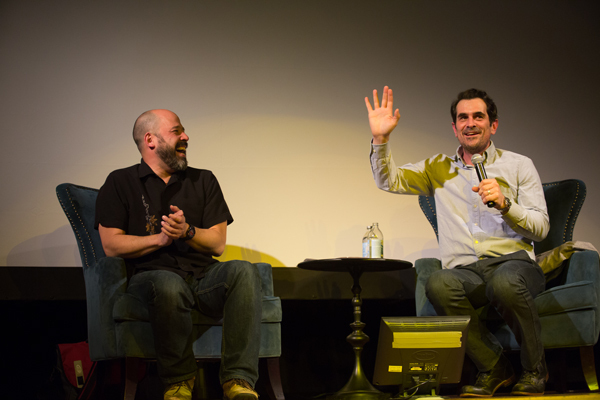 Check out the photos from the event on the AIFF blog. Wondering what films to see at â€ªAIFF2016â€¬? 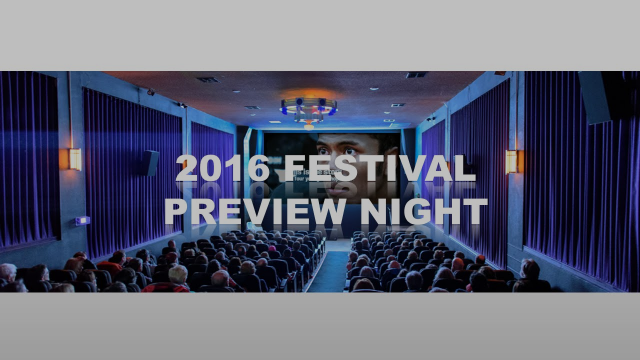 Join us for our Festival Preview Night! This is your first chance to see clips from festival films, pick up the Pocket Guide, and get insider information on special guests and new events for AIFF2016. Haven't gotten your membership yet? No problem! We can sign you up that night. Better yet, sign up online today, and secure your exclusive member benefits including advance ticketing ordering before the general public, early entry to films, and discounts on year-round screenings. Details at: http://www.ashlandfilm.org/membership.